Overview: I really wanted to write about a red this week but sometimes in a line up you taste a wine that makes you say: ‘Holy S#@%, what’s going on there?’ Stupidly I thought I had this wine pinned on the nose alone: I thought it to be a floral, delicate Riesling that might be a touch broad but Oh My God, the palate is almost a sensory overload. Packed with flavour, a touch of sweetness but savoury at the same time. This is a style of Riesling which is not only underrated but one of my favourites. It’s drier than a Kabinett style Riesling with just enough residual sugar to add balance and complexity. Yes, I know the super dry, sweat inducing Rieslings are much more widely drunk and celebrated but this style of Riesling makes for a much better food wine. Tasting note: A floral, pretty nose of jasmine. 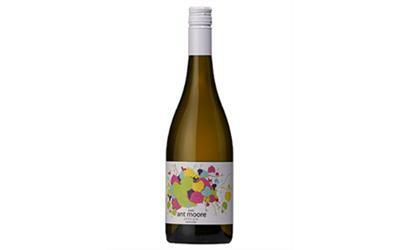 The palate is a good hard whack of citrus, lime and mandarin with some peach skin and savoury notes. 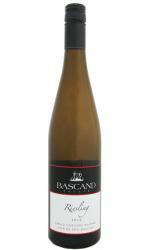 The touch of sweetness adds another layer of interest and is balanced by subtle acidity. Final Say: The perfect food wine!! $19.99 a bottle. Overview: 8:30 pm Tuesday night: I’m in Sydney for work and realise that I’ve not yet tasted a suitable wine to blog about. I’m in the city, it’s dark and cold and I feel suddenly vulnerable and alone. 8.31 pm: Minor panic attack as I contemplate skipping this week’s blog. This thought is fleeting for the blog is part of my weekly routine, should I skip it my life may begin to spiral. 8.34 pm: The glowing vista of a corner bottle shop calms my hectic heart. 8.40 pm: I have a bottle in hand; I think I bought it simply because of the pretty colours on the label. 8.45pm: I am back in the hotel room, breathing into the paper bag the bottle was packaged in. My entire routine lies in the balance; this wine needs to be up to standard for me to keep my life on the straight and narrow. 8.46 pm: The moment of truth (surprisingly the hotel wine glasses are quite good). 8.47 pm: I forgot my wine diary (yes, I have a wine diary). 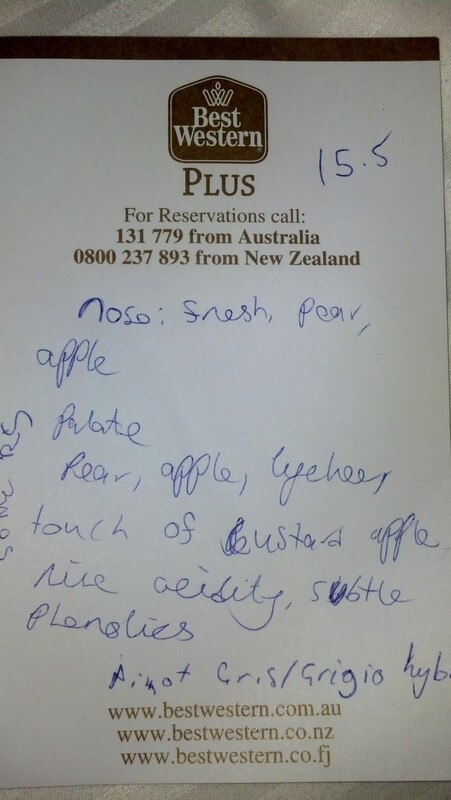 I find a piece of paper to scrawl some tasting note on. 9 pm: I fall asleep. 5.30 am: I wake up to find that I have fallen asleep on the complimentary bed mint. Bed mint? Yeah, I don’t know either. Mints are for after dinner, if you’re making my bed with them hidden in the sheets you’re asking for trouble. 5.31 am: I’m barely awake yet feel the need to write a letter explaining myself to the cleaner: ‘Dear cleaner, it’s not poo. Have a sniff for yourself.’ I now have a lovely, chocolate and mint coated shoulder. 6 am: Allow me to decipher this horrible, panicked left handers scrawl for you. Tasting note: If you can’t read the above I hardly blame you, I have a hard time reading my own hand writing at the best of times. It reads: A fresh nose of pear and apple, these characters are also found on the palate joined by lychee and subtle characters of custard apple. A crisp acidity and subtle grassy notes (phenolics). It toes the line between Pinot Gris with some residual sugar and Pinot Grigio, crisp and simple, thus becoming the Pinot G hybrid. Final Say: Now that you’ve had some insight into my mind you probably need a drink, I know I do. Sells for between $16 and $20 a bottle. Overview: Welcome to volume 2 of the chronicles of Freddie Mercury the stinky, grumpy bunny. For volume 1 visit: http://spittingoptional.com/2012/03/22/cosmo-pinot-noir-2010/. As mentioned in my last Pinot Noir review some people struggle with Pinot Noir when they hear descriptors like game and forest floor. Truth is that Pinot Noir is one of the most versatile grape varieties; it can make a light, savoury, complex wine or a fuller, brooding style. It also one of the main varieties used for making sparkling wines and can make a great rosé. It is also, I believe, the most romantic variety. Yeah, yeah, I can hear you groan and say ‘what a wanker’ but when you say the word Burgundy to even a wine novice they know of its greatness in the kingdom of wine. At least I hope that is the case, perhaps the reason their eyes light up is because they believe Burgundy is not the most famous wine made from Pinot Noir but the birth place of Jim Beam and Cola. 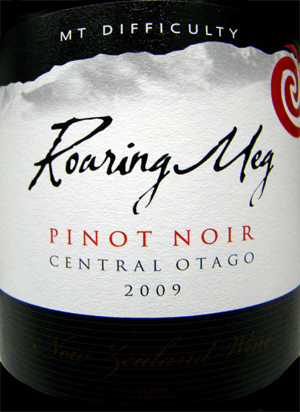 Taking cues from Burgundy, Central Otago have been making some highly commendable Pinot Noir in recent years and Mt Difficulty has been one of my favourite producers from the region. Tasting note: Red fruit, game (aka smelly, grumpy bunny) and forest floor on the nose. A peppery palate supported by cherry characters, red fruit, game and finishes with a racy acid. Soft, silky tannins add to a velvety mouth-feel. Final Say: Freddie Mercury the transgender bunny (she was bought as a he but turns out she’s a she) says buy this wine. It sells for around $30 a bottle. It’s a little bit lighter than the Estate Pinot Noir but great value.